The Coalition has moved yet further from its goal to become the ‘greenest-ever’ government after cutting funding for energy-saving initiatives. At a time when energy bills are set to rise by around 100 a year, ministers have sought to limit funds for the poorest households. In 2009, just over 1.9 billion was spent on government support for energy-saving measures such as loft insulation and cavity wall insulation. Next year, state funding for energy-efficiency initiatives will fall to 879 million, representing a reduction of 26 per cent. In a report published on Tuesday, the Association for the Conservation of Energy (ACE) argued that government cuts will hit specific energy-efficiency initiatives much harder. ACE estimates that spending on measures to tackle energy efficiency in households suffering from fuel poverty will fall from 376 million to 209 million between 2009 and 2013, representing a reduction of 44 per cent. The report added that 50,000 fewer households would receive state support to insulate their homes. 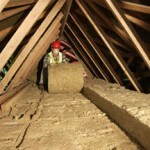 Installing loft and cavity wall insulation can significantly improve the energy efficiency of homes. As less heat escapes through doors, windows, lofts and walls, less money needs to be spent on energy. Environmental and economic savings can be further increased by installing energy-efficient central heating boilers and controls. Unfortunately, fuel-poor households cannot be expected to spend money on home insulation when they cannot afford to pay for an adequate supply of energy. Limiting funds for the poorest households will not make the Coalition the ‘greenest-ever’ government. As quoted by the Mirror on Tuesday, Energy Bill Revolution Director Ed Matthew said: “The fuel poor face a triple whammy as the fuel poverty budget has been slashed, the entire cost of new low-carbon power has been put on household energy bills and Chancellor George Osborne has pocketed every penny of carbon tax”. A spokesperson for the Department of Energy and Climate Change (DECC) responded by stating: “The Coalition is committed to doing all that is reasonably practicable to end fuel poverty in England by 2016 and to helping people, especially low-income vulnerable households, heat their homes more affordably”.